Every year, California breweries produce about 3.3 billion gallons of beer— 3.5 gallons per drinking age adult— according to the Brewers Association, a non-profit that keeps tabs on craft beer sales and production nationwide. With all those brews freshly flowing, why not make your Tour de Brew via the Capitol Corridor? 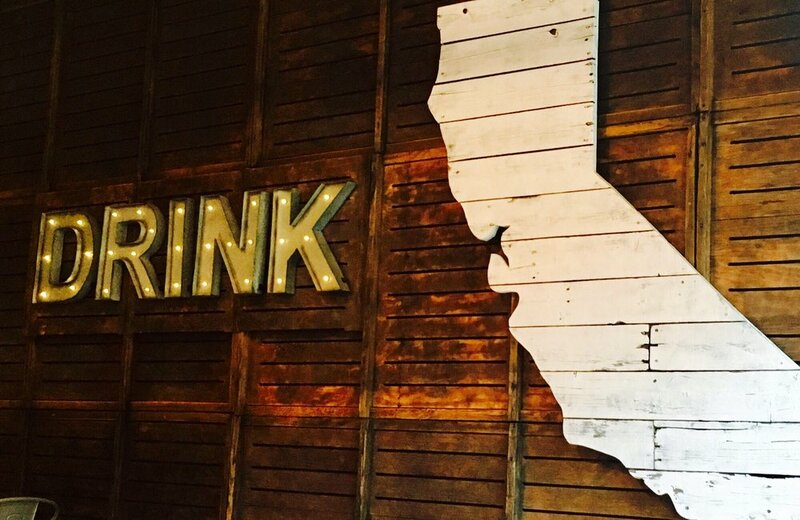 Some of the best of the nearly 800 breweries in California are within strolling distance of our stations. Each of these breweries, listed here from south to north, offers its own unique taste of Nor Cal— and, of course, we will be your designated driver after all the tipsy taste-testing! Photo courtesy of Floodcraft Brewing Co.
Making use of reclaimed red cedar wood and locally produced brick, Floodcraft Brewing Co. offers a modern twist to San Jose’s famous, historic Falstaff Brewery. Choose from nineteen rotating taps of craft beer, wines & cider on draft, and a mouth-watering menu, while chilling out in the fully open-air layout or taking in the rooftop view of SAP center (home of the San Jose Sharks ice hockey team). But that’s not even the best part: the brewery is just a five-minute walk from the Capitol Corridor’s San Jose Diridon Station. Courtesy of Independent Brewing Co. Historically a major hub for pre-Prohibition beer production, Oakland’s Jack London District has undergone some big changes in the last decade, but has retained its beer-loving roots. 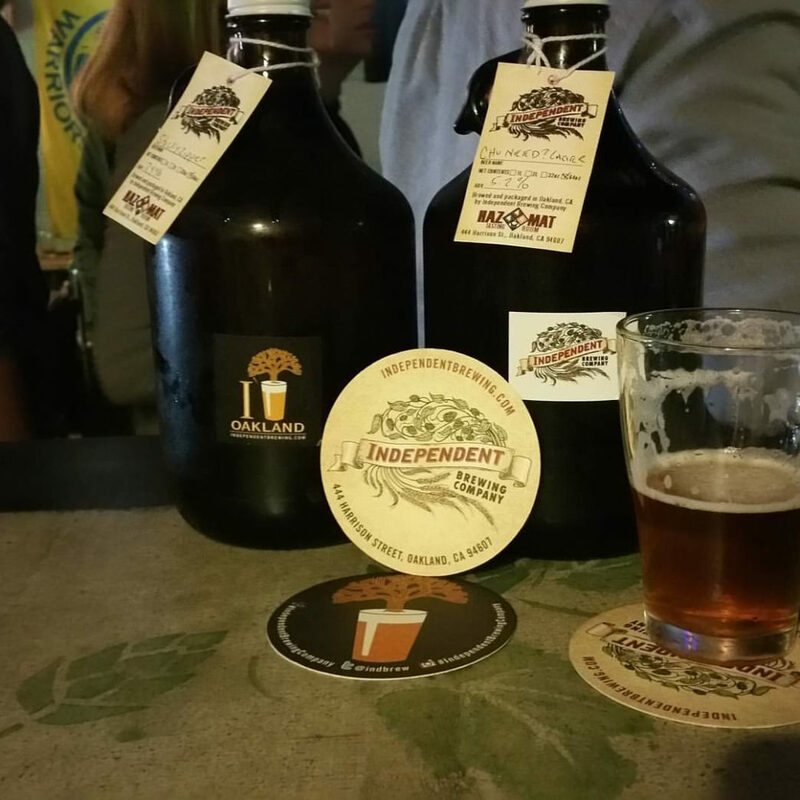 Independent Brewing Company, whose owner co-founded Oakland Brewing Company (OBC), serves a few OBC taps, along with small-batch experimental beers, brewed on-site. 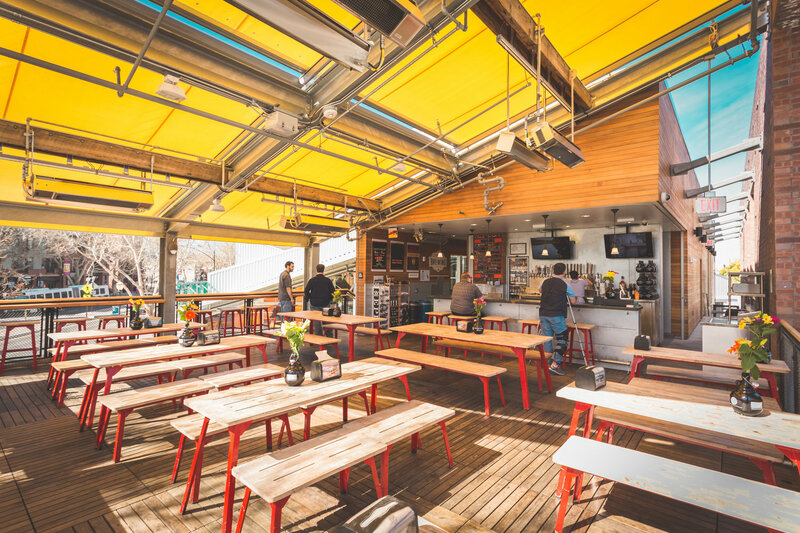 Neither will disappoint—nor will the 5,000-square-foot beer garden, a mere two blocks from the Oakland Jack London Square Station. 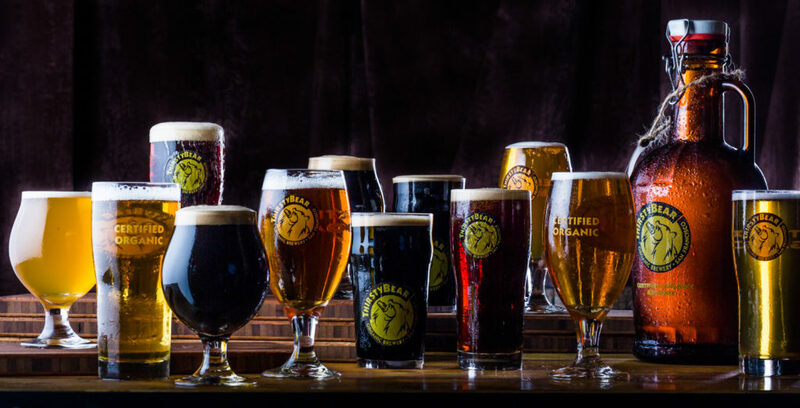 From the Capitol Corridor- BART connection at Richmond or Oakland Coliseum, get off at the Montgomery St. BART Station and walk a half-mile to the certified organic ThirstyBear, which has been a local favorite since 1996. The brewery’s comical name was inspired by an equally amusing newspaper headline in the early 1990s: Thirsty Bear Bites Man for Cold Beer. ThirstyBear pairs its brews with Spanish tapas and paella, all made with fresh, locally sourced ingredients. The award-winning, all-sour beer company, The Rare Barrel, has tailored its facility to optimize its creative barrel-aged sour beer production. The brewery is about a mile from the Capitol Corridor Berkeley station, and if you’re not up for the walk, you can always take a taxi, Lyft, or Uber. Be sure to plan your visit in advance; it’s only open Thursday through Sunday. Photo courtesy of Creek Monkey Tap House. Creek Monkey Tap House is a super-convenient 3-minute walk from the Martinez Station. 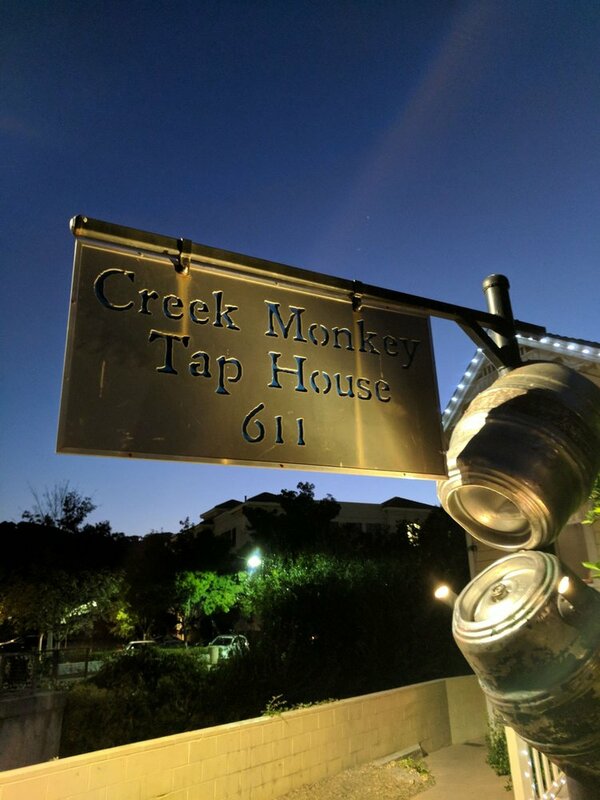 A subsidiary of Rocksteady Brewing, Creek Monkey is a great spot to go if you are looking to relax and have fun. Even their name is fun; it celebrates the old tale of a group of South American squirrel monkeys that supposedly escaped from the George Matthews Great London Circus back in the mid 1900s. Legend has it that these monkeys started a feral community in the Alahambra Valley and allegedly still reside there today. 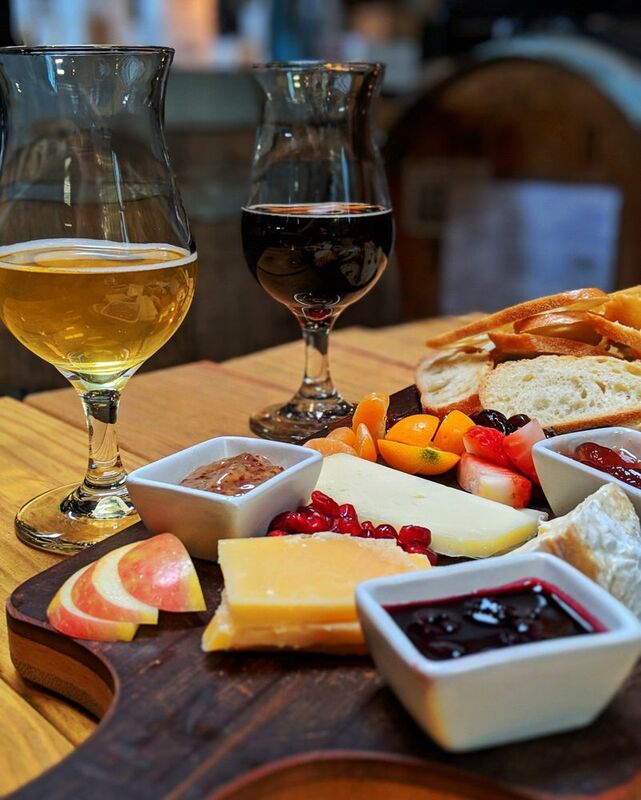 While you may not spot any squirrel monkeys on your next visit, you are guaranteed to find a good meal and great-tasting beer. There are a handful of micro-brews served here, including those from Rocksteady Brewing, Almanac, and Heretic. The taps are frequently rotated to keep the menu consistently new and exciting. The food is also fresh and sourced from sustainable farms so you can feel good about what you eat. Photo courtesy of Right Eye Brewing Co. Right Eye is significantly smaller than most other breweries in the area, and their three-man operation keeps it simple. With just a few beers on tap at a time, it’s not so much a bar as a brewery taproom. 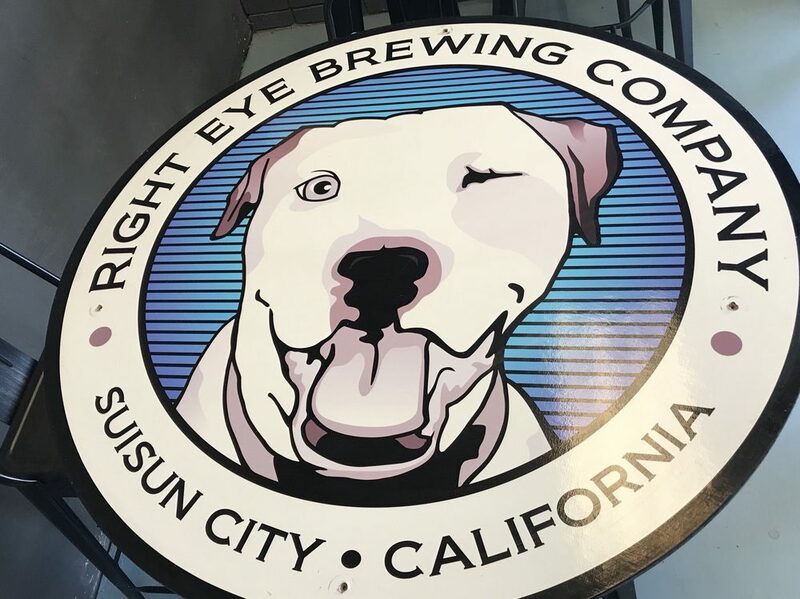 Make no mistake, though, this very micro brewery, whose logo is a friendly-looking dog with one eye (guess which one), is well-worth the four-minute walk from the Suisun/Fairfield Station. Photo courtesy of Three Mile Brewing Co.
Like many Northern California towns, Davis, once called Davisville, has a rich beer history. Before Prohibition, saloons outnumbered restaurants and churches. Three Mile, located just a block from the Davis Station, is a testament to the resurgence of beer. Stop by to try a rotating, small-batch tap, and be sure to try one of its beloved staples, like the Red Ryder or the MegaMax Imperial Stout. Opened by the Swiss Captain Frank Ruhstaller in 1881, Ruhstaller was Sacramento’s first craft brewery. Today, in addition to brewing beer, Ruhstaller operates a working hop yard—so you know your beer is made from freshly grown California hops. Best of all, it’s less than half a mile to the taproom from the Sacramento Station. 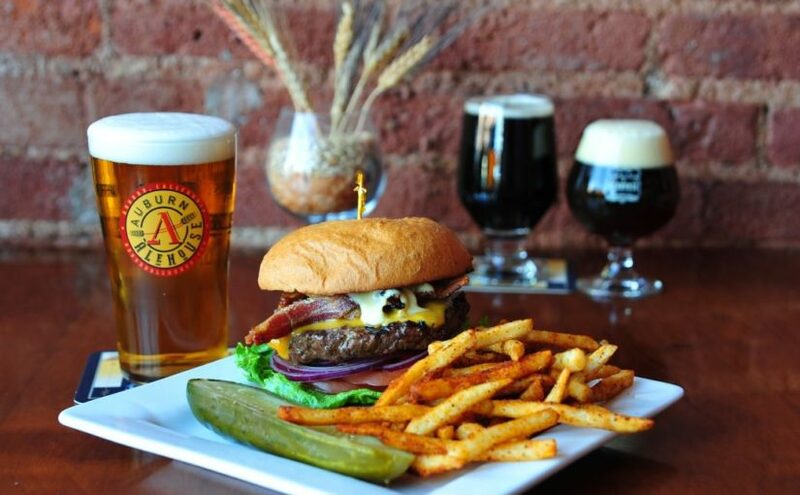 Powerhouse Auburn Alehouse brews 1,300 barrels of beer annually, including eight year-round brews and more than a dozen seasonal taps and brewers’ specials. 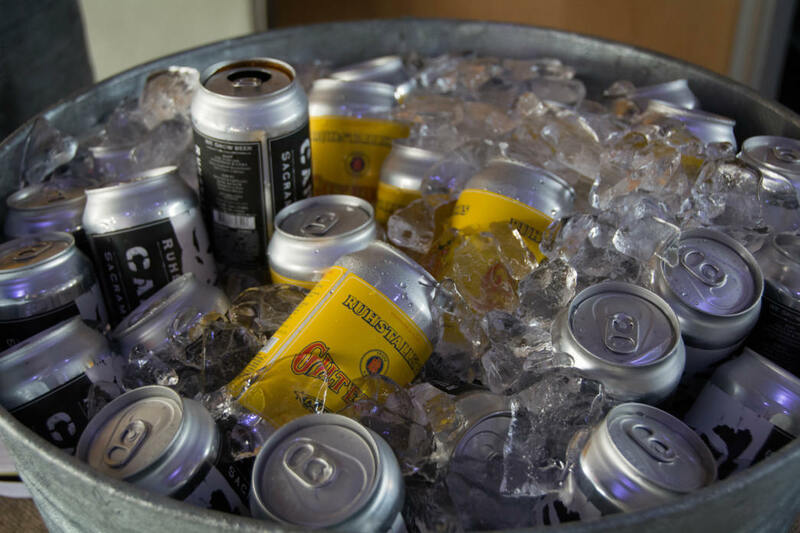 Fans of the beer can find it distributed all over California, but you can drink it while watching the brewing process at the Auburn facility. 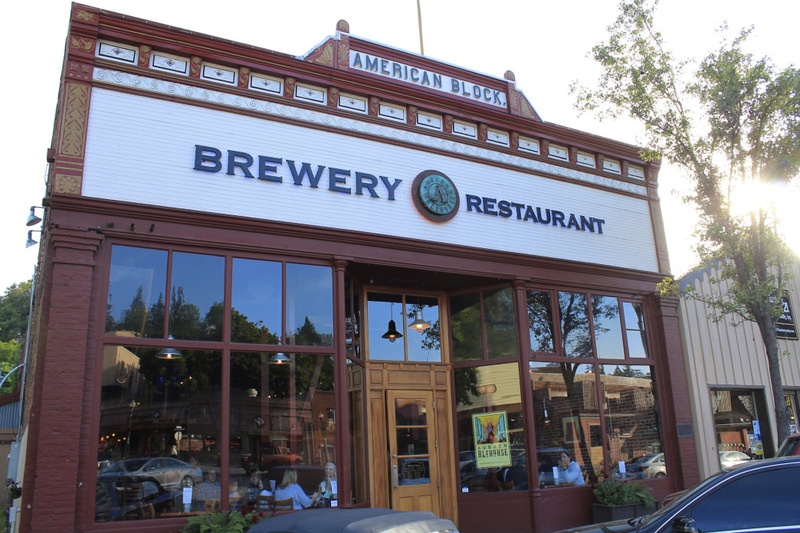 A little less than a mile from the Capitol Corridor’s Auburn Station, it has a patio overlooking the historic Auburn Courthouse, and a hearty menu for breakfast, lunch, and dinner.